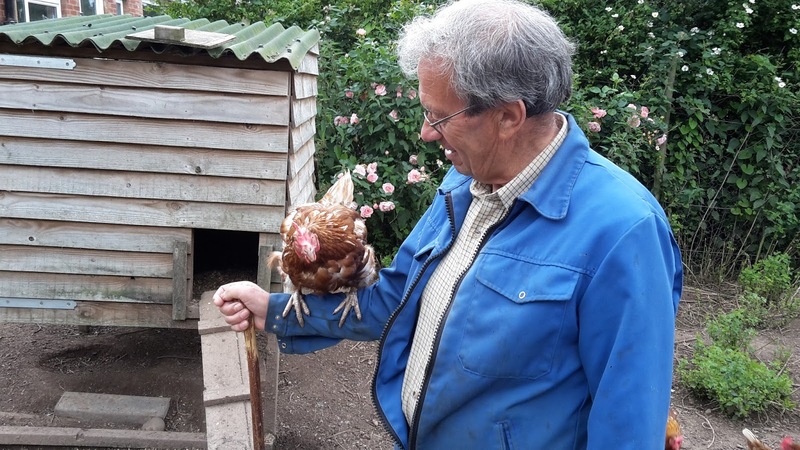 I was showing my neighbour my ex commercial hens the otherday and he remarked on how friendly they were. Just as he said it one jumped up onto his arm. It made us both laugh. It's funny how these birds, that have had so little human contact, can be so friendly! Years ago I had a home health patient who had an indoor pet rooster. He was very protective of her and would hope on the bed when I assessed her. I started bringing him worms and in three days time he was following me out to my car. A little love goes a long way for creatures as well as we snarly humans. Not sure I like the sound of that, I imagine a lot of poop around the place! I'm so glad those hens you have have such a good home now. And I think they show that appreciation. Like I've said above though, it's only for a year though as then they become unproductive. There is an egg producer near us that sells off their "scrap" hens every year for 50 cents each. Our food system in the US is just so inhumane and depressing. I think it's a blessing for both the person and the animal when food can be raised at home. That's where these came from. They were free ranged though but still only cost 50p each. If the farmer could do a forced molt then he would keep them for another year but he's not aloud so has to get rid of them as they're no longer viable. Kev, we used to have commercial hens in UK before too - they were good but looks awful in the beginning! 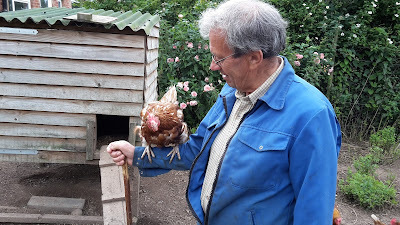 In Bulgaria, the only place we know to get our spring chickens is from an open market vendors...I think they treat/handle their chicks/chickens very roughly for business...only my husband ventures there because it's all very stressful for the rest of us. He will buy from vendors who have better manners even at a higher price because we notice the hens live a bit longer with us. These were ex free ranged so didn't look too bad, although as they're designed for laying so much they have some feathers missing due to the stress of such production. I have always found my rescue girls to be so much more friendly. It's as though they take nothing for granted and are truly amazed at the life they are now living, they seem to want to learn and share everything they can with you. My newest chickens are stroppy little madams who have no manners.